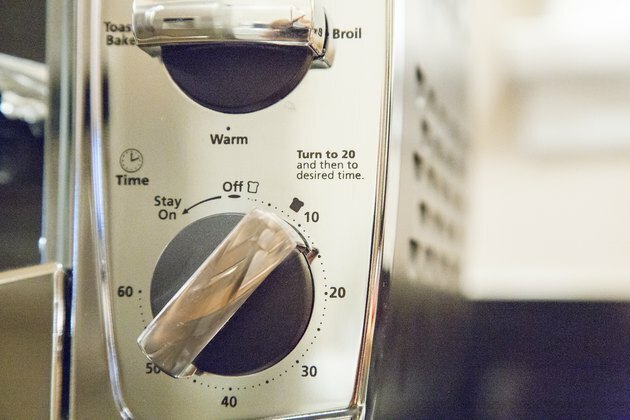 Cooking with a convection toaster oven produces faster cooking than in a regular oven by using fans to force heat through the oven and surround the food rather than the heat coming only from the top or bottom. 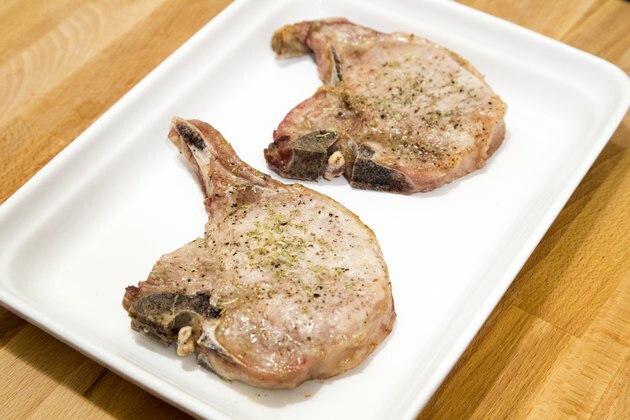 Pork chops, a lean cut of pork loin, are succulent and juicy when broiled in a convection oven. 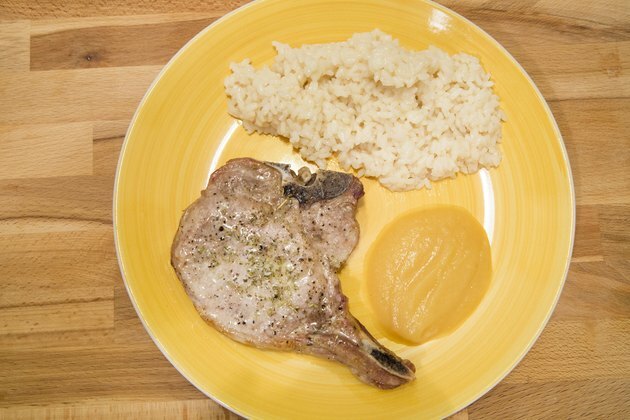 Low in calories and high in protein, pork chops are an excellent source of B vitamins. For a healthy dinner prepared quickly, your convection toaster oven is an essential kitchen aid to broil pork chops. 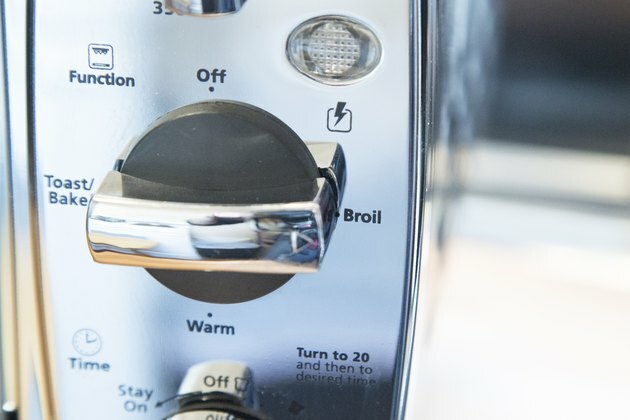 Preheat the convection toaster oven on "broil." 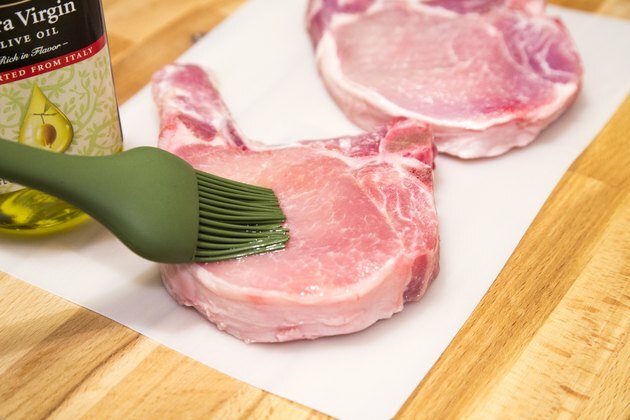 Wash your hands with warm soapy water and dry them before removing the pork chops from their packaging to avoid spreading germs. Brush the pork chops with a light coat of olive oil and season them to taste with spices such as rosemary, thyme, salt, pepper and garlic. Pork chops also are tasty when you coat them with seasoned bread crumbs or prepackaged coating mixes. Follow the manufacturer's instructions for mixes or marinades. 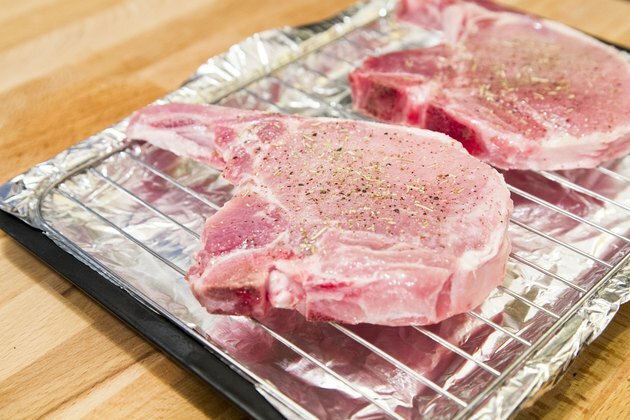 Place the pork chops onto a baking pan lined with aluminum foil or a broiler pan and set it in the center of the convection oven. 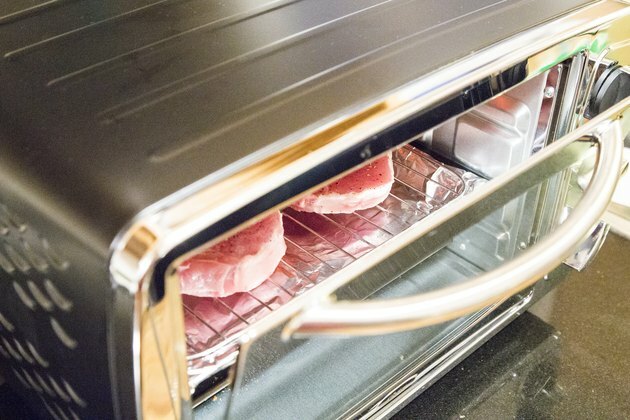 Broil the pork chops for seven to 10 minutes with the convection toaster oven's door slightly ajar. Take the pork chops out of the oven and flip them over. Broil the pork chops for another seven to 10 minutes. 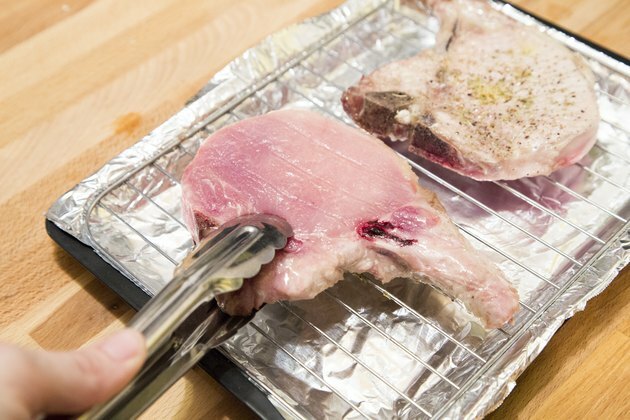 Remove the pan from the oven and check the internal temperature of the pork chops with a meat thermometer. 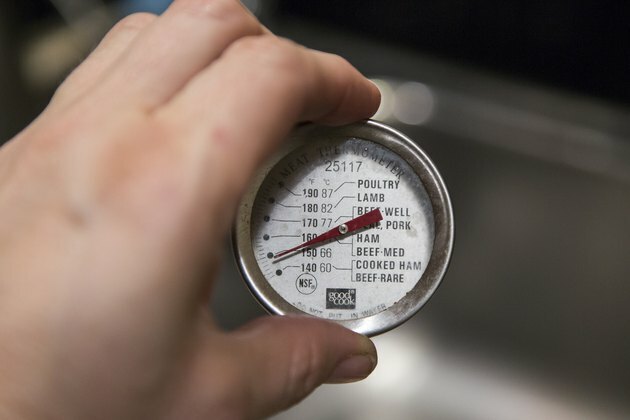 The temperature needs to be 145 degrees Fahrenheit before the pork is safe to eat. Allow the pork to rest for at least four minutes after removing it from the oven. The pork will continue to cook even after you remove it from the heat. Serve pork chops with wild rice, cooked apples or roasted vegetables. Wrap leftover pork chops in aluminum foil and store them in the refrigerator for up to four days. Wash your hands before and after handling raw pork to prevent spreading germs and bacteria.